My business partner and I are starting to really get serious over what we have started. Our first jewelry box designs made of capiz shells are on its way to finishing. Right now, we are already marketing the products and we are also accepting advanced orders and customer-designed ideas. Our main goal here is that we will be producing new designs each month to increase our products collections. As soon as we already have a gallery of products, we might be considering putting them on trade shows like in the malls or trade fairs. I was looking for ideas online and found a website that supplies products for exhibits like trade show booths and banner stands that are ideal in showing off and advertising products and services. There are also table skirts, trade show flooring, stages, Pipe and Drape system, graphic tents and whole bunch of other stuff for trade shows and exhibits. I woke up early today because of this irritating feeling I always deal with when sleeping on my bed. On the top part of it, I think there is a spring that went lose creating a bulge just right under my back when I sleep on it. I feel so uncomfortable because it gives me backache and a short sleeping time. It's starting to bother me so I decided to save to get a new one. I am actually looking for metal beds online because the structure is sturdy and my friends say that the price is reasonable. I might buy one of those metal beds instead. Hopefully I will be able to save more this month. That means cutting off some unnecessary expenses like going out to parties and friends at night (laughs). I don't mind spending a lot as long as the products that I buy will give me guaranteed satisfaction. At the same time, it doesn't necessarily mean that the quality of the product will be sacrificed just because it sells cheap. Are You Ready Valentine's Day? Next week would be the start of the love month - February. The Valentine's Day tradition is still being observed will always be observed because romance is a natural instinct for us humans. We celebrate Valentine's Day as a way for couples to have a toast for their mutually unending love and dedication. Of course, this special day is not just for lovers. The celebration basically calls out everyone to spread the love and cherish the important persons in our lives. Apart from Christmas, this is also a time for sharing and giving that is why most of us do Valentine's Gifts exchanges with their friends and families. Since it's only a few weeks before Valentine's Day, now is the perfect time to shop and look for that perfect gift that you will give to your partner or family member. There are actually a lot of choices online if you don't have the time and luxury to go to the malls. Remember, it's not about giving expensive gifts; it's always the thought that counts, as the saying goes. Cholesterol is everyone's dilemma these days. Young or old are being affected with illnesses due to high cholesterol level. Would you believe that my 30-year old brother-in-law was diagnosed by the doctor to be having a high cholesterol level? The only way to fight and avoid it is to eat the right food and be more careful on your diet. As for me, to avoid fatty and greasy foods, I always ask mom to prepare grilled foods. Actually I saw some outdoor grills on sale at a local mall here. The grills are perfect for backyard grilling or you can also bring them if you are planning of going somewhere and camp. What I like about outdoor grills is that they come in different forms and sizes depending on your preference. They are also very portable and consume only less space. You can actually dismantle it if you are not using it thus conserving space. I think you should get one, too. It is a good investment to having a healthy diet. I went to my former school just this afternoon and requested a copy of my credentials as I will need them in the processing of my possible promotion at work. As I was walking through the streets just outside my school, I happen to pass by the old Sapang Balen creek and I was so surprised to see that the garbage-filled creek way back years ago is now unbelievably trash free. Well not actually free from trash but it is way better than before - and still improving. I am now convinced that it really is a creek because all these years, I always have the impression that it is a dump site for garbage. Well thanks to the Holy Rosary Parish led by our beloved Bishop, Father Pablo 'Ambo' David. He spearheaded this campaign this 2009 if I'm not mistaken. Now, along with the many volunteers, every segment of the creek is now being revived and cleaned on a regular basis. When I attended the mass few weeks ago, Father Ambo was very proud to announce the overwhelming success of the project. I salute my fellow Kapampangans for actively participating and supporting such campaign. I hope this kind of initiative will continue to live in our next generations to come. I will take a picture of it next time so you can see it. This year will be a quite busy year for me since I need to put more time and energy on our new business. Also, about four of my friends will get married this 2010. So as usual, I will be helping them in organizing and preparing for the big celebrations of their lives. The first wedding that I will attend will be this coming March. My best friend asked me a favor if I could handle the designing of cheap wedding invitations since I am known to the group as the computer geek. Of course, I have no choice but to say yes. I have a not-so-expensive talent fee, by the way. (Kidding!) Anyway, I might be considering those wedding invitations advertised on one of my trusted sites. They have a wide range od beautiful design layouts which I am sure my friend will love. Next thing I need to do is to inquire about the ordering process and delivery to make sure it will reach the guests' hands just before the wedding day. I am excited for this! It is during these times that the flexible and dynamic me is being unleashed (Lol). Last week when we attended the Sunday mass at the Holy Rosary Parish church in Angeles city Pampanga, I noticed this new religious work of art placed right outside the church. 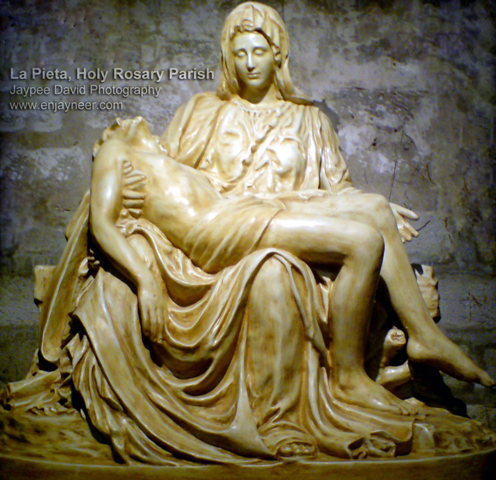 It is the replica of Michelangelo's La Pieta all made of marble accentuated with warm colors and lighting. Perfect! When I was a kid, I have always dreamt of becoming a sculptor. I used to create animal designs and faces using clay. Too bad I never had the chance to preserve any of my pieces. Starting a business really is nerve-racking and way too pressuring especially if it's the first time you'll be dealing with it. As for me, since I don't have any educational background when it comes to business management, I am quite having a hard time at start. Engineering courses here in our country don't concentrate much on managerial subjects. Right now, as starters in the business, I am still learning a lot most especially in the finance part of the business. And since we are into hand crafts sold both to the local and international market, we might be considering of purchasing a business vehicle that will be used in the delivery and pick-ups of products locally. 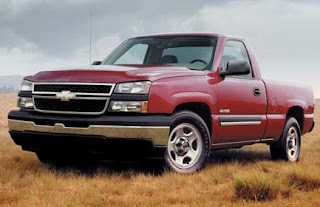 I was actually thinking of getting a Chevrolet Silverado or similar to that because it is designed as a carriage vehicle. We are actually using an old car right now but it is not that spacious enough to accommodate large supplies. I will be taking it as well to an auto repair shop probably this week for a brake job. If you are in Texas, you may visit RepairPal, one of the most renowned when it comes to Dallas auto repair. A friend asked me to go out and shop with her and since I have nothing to do at home, I accompanied her. Anyway, I also need to do a little shopping for myself since it's been quite a while when I last bought my pair of jeans. As what we always do in the mall, we started walking and store hopping just to find the right wardrobe or items for us. My friend and I decided to split and go our separate ways so we can maximize the time as the mall will be closing not too long. After like about 2 hours of walking and going up and down the mall, we finally raised our white flags and met at a restaurant to recharge. I got myself a new pair of shoes and a shirt. I will post pictures of the items soon. Well that would be for now. I just wanted to share to you how I spent my day today. Planning a vacation is never easy because you really have to make sure that every single activity would go smoothly as you want it to be. Sometimes, we just want to go on a vacation but we just don't have any idea where to go and what to do. That is why most of just would rather just stay at home and do a movie marathon. But let's face it- everyone wants a vacation, especially a travel getaway either on some secluded and relaxing beaches or a trip outside the country. MonoGrams Travel understands everyone's craving for an enjoyable and relaxing vacation, thus the creation of its search site (www.monogramstravel.com/simple) that can take you to that perfect vacation you have always dreamed of. The website is simple and so easy to use. There a lot of many beautiful places worldwide to choose from. You can actually do location searches and even personalize them according to your preferred hotels and activities. What's more, MonoGrams Travel is offering a very cheap trip to Europe for as low as $487. Now is the time to start the year right. Relax and enjoy a vacation with your family and loved ones now and realize how hassle-free it is to organize it. With MonoGrams, you can save time and energy in planning your vacation. Visit the website here to learn more: http://www.monogramstravel.com/simple?utm_source=izea&utm_medium=ppp&utm_campaign=simple. Take a look at this vector photo that I created using Abobe Photoshop CS4 Portable. This is not an easy task because it took me about 3 hours for me to complete this. The idea behind vectors is that you create the image layer by layer depending on the color shade. So for every color shade, there should be one layer. The more layers you put in, the more accurate the photo will become. Since this is my first ever try on vector, that's why the result is still not that smooth compared to others. Will try to make better ones next time. If you are into these kinds of movies you may check this Fictional movie site for believers in karma and reincarnation. Sports car enthusiasts I'm sure will love this promising theme park that Abu Dhabi will be launching next year. 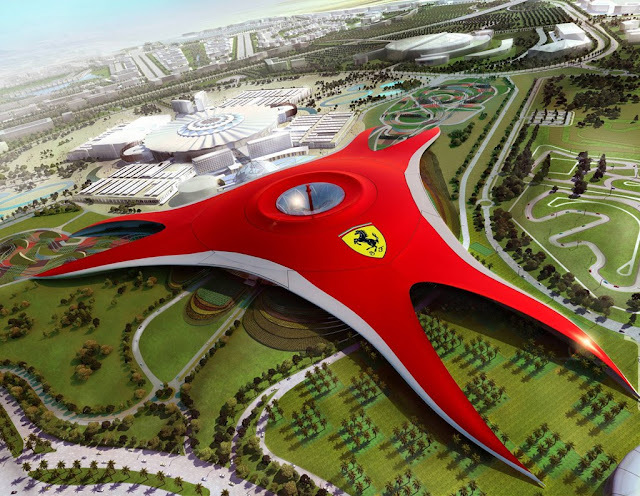 The well known sports car manufacturer announced that Ferrari World Theme Park is set to operate by 2010. Watch out for the theme park as it will be launching the world's fastest roller coaster just for the visitors to feel the F1 thrill along with more than 20 other rides. And for your information, the theme park itself carries the title as the largest indoor park in the world with a whopping area of 86,000 square meters. This is another recreational destination which I am sure will attract millions of tourist from all over the world. The Television for me is one of the most intelligent inventions of man. From the time it was invented, it has changed how people's lifestyle and how they deal with their everyday lives. It is one of the most effective learning tools. Studies prove that a child in our modern world today acquires majority of his or her learning experiences from the Television. That is why to date, there a lot of educational channels being produced worldwide which can be viewed anywhere you may be via Direct TV. Satellite TV providers are some of the most reliable when it comes to TV service as it gives the consumer complete freedom on which television show or program to watch. Not only that, unlike the conventional Cable TV, Directv channels have digital quality and local channels come in high definition. The system is also simple and can be easily set up. Find out more about Direct TV Packages and how to subscribe. This is a Sponsored Post written by me on behalf of Quiltcreator. All opinions are 100% mine. As you know, my mom was once in the dress making industry. She studied dress-making in one of the exclusive schools in the country. On her previous company, one of her design specialty was quilts. For your information, quilting a type of sewing method in which many layers of cloth or fabrics are joined together to form a thick and patterned layer. This process is sophisticated but once the finished product is created, you will see how beautiful quilted fabrics are. I was actually browsing awhile ago at www.quiltcreator.com that offers reasonably priced quilt designs for bedspread and infant quilts that you can personalize and do the pattern yourself. I have attached the design that I created on the site and I was really impressed on how easy it is to design one. I bet quilters especially moms will love this from www.quiltcreator.com. The quilts from QuiltCreator are 100% handcrafted cotton with a 250g of overfilled cotton and certified with the All Natural Cotton Inc. logo. And here's the treat from them: you can actually avail a 10% discount by using the code 104You if you order on their site. Check out the website now and be part of the company's cause as they are giving 1% of all proceeds to 1% of the Planet to support the environment. It was my godson's first birthday last Sunday. I was there as a photographer! Haha. Kidding! Alden Niño Gabriel is Rizaleen's first son. It was a kiddie fun party as what most kids would envision; the typical Filipino kid's party- clown performance, piñata, pabitin and the good-old parlor games. It was fun to see kids enjoy and scream their heart out every time the clown asked them to do so. I remember my childhood days haha. I have always been fascinated with architectural designs and landscaping. At one point in my life, I have dreamt of becoming one so I will be the one to design my own house. I want a house that is unique and will truly represent my personality. I have a few friends who are into the architecture field and I sometimes bug them out whenever I am in need of some research with regards to house plans and interior designs. I have a lot of aspirations and "i want to be" moments. I wanted to build one-of-a-kind home communities. Well, I think one whole lifetime is not enough for me to make all my luxurious dreams come true, so I just have to focus on the feasible ones. To those of you who have been fans of Dr. Oetker products, I have great news for you today. Dr. Oetker recently launched another fun and exciting contest open to all Canadians. It is called Adventure Romantica contest that will run until February 15, 2010 - just in time for the Valentine's Day. So if you've been looking all your life for a free holiday treat, this contest might be the answer to your dreams. Luxurious prizes await winners because the grand prize is a whopping eleven-day Italian wine tour for two, all packed with romantic meals and a lot of side trips you and your partner will surely enjoy. All you have to do to join the contest is to register and become a Savoury Moments member on their website and you will get a bonus PIN which will qualify you for the contest. There is actually a great chance of winning because Dr. Oetker is giving away one hundred thousand and eight (100,008) Instant Win Prizes like 100,000 Ristorante Pizza Coupon winners, five (5) winners of "Ristorante for a Year" prize pack and three (3) winners of Tours for two at a local vineyard near the winner's location. Join now because you just might be one of the lucky winners of Dr Oetker Adventure Romantica Contest! Yesterday, I received a letter from my cable subscriber telling that there will be another increase in monthly bill starting next month. I was so frustrated that I even called the management to let out my rant. But, too bad, I was not that influential to the company so I ended up disappointed and all pissed off. If only we have Direct Satellite TV here in our town. My cousin who's living in the United States for less than a decade now has been a loyal subscriber of Direct TV. If I were there, too, I would definitely get the service because unlike the old cable TV, Direct TV offers more than 150 channel that are all digital. Plus you can get a package depending on your preference. You can get packages like HD, Sports, DVR, Movies, Locals or Globals. If you are in the United States, you might want to check out and subscribe to Satellite Directv for as low as $1 a day. 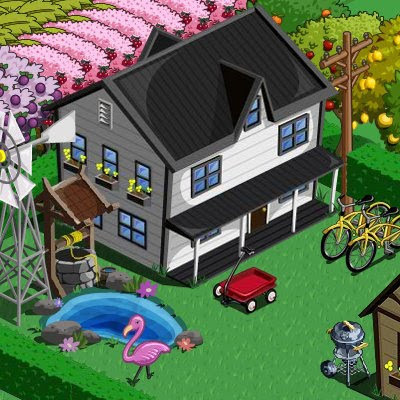 Farmville is great. Farmville is entertaining. Farmville is exciting. Okay, enough of the adulation. 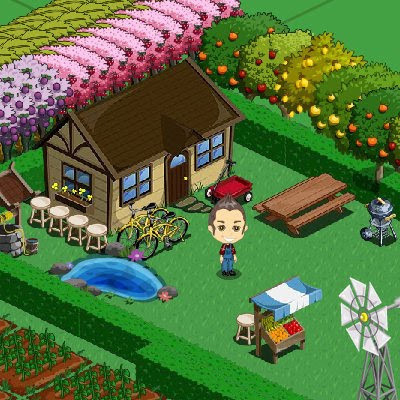 For those of you who are still not aware, Farmville is a cool application on Facebook by Zynga, where one gets to grow and maintain his own farm. You grow different kinds of crops trees and animals and you can even build a community as you level up. Unfortunately, I forgot how I got hooked up into this addiction. At first I was a little skeptical because I felt sick by the tutorial when someone introduced it to me. Since I don't have anything to do at home then, so I ate the bait and played it. The game is addictiing. And now, after days of plowing and milking, I now have reached level 29 with a couple of cool different houses and farm stuff. Almost my whole daily routine is now directed on the game. That every time I am out of the house, I find myself worrying about my harvest which I really find crazy. Haha. But I guess I'm not the only one, most of you guys, I suppose are also maintaining your own farm at farmville waiting for gifts, aight? Joey's Secret to Success: Always Save Money! A couple of friends and I had a short bonding time last night. I spent the night together with them over a cup of coffee. Then, Joey (one of my friends who's working in China and went over the country for the holiday vacation) opened up something to us that really surprised the group and made me really happy. He confessed that he will not be coming back to China. Instead, he will just start a business here in the country so he can stay with his family while he saves money. I learned that he took advantage of a bank offering cd rates with a lot of benefits that is why he was able to make the most out of it. I am so happy to hear that Joey was able to make such big decision in his life. And I am even more proud that he was able to save a lot money and start a new business venture. I hope someday will be able to become as successful as him. What I need to do right now is to double the efforts, work harder and pray that my savings in the bank especially the certificate of deposits would grow profitable. The Television, just like any other gadget, has gone through a lot of advancement and innovation. During the old times, we only get to enjoy the conventional air channels or what most of us know as antenna channels, wherein we literally have to find the best spot on where to put our antennas to get a better reception. And then there was Cable TV - no more bulky antennas and weak reception, just a connection via coaxial cable and you're all set to a lot of channels that can even accommodate the international ones. Soon after, different kinds of services like Pay-Per-View and On-Demand viewing were introduced. One popular provider of this Digital TV service is Charter. Actually, for your information, On Demand service just comes free if you have Charter Digital. Charter offers their subscribers over 6,000 movies and shows that can be instantly viewed whenever you want to. That means getting your favorite TV programs and movies anytime of the day at your convenience. I think that's cool! Why wait for your favorite show to air when you can watch it at the snap of a finger? learn more at charter.net/ondemand about this amazing service. And if you're logged in to your Facebook, which I'm sure you are, you can get updates and fun extras on Charter’s Facebook page as well. When I was a student, there were several moments in where I have taken education for granted. It's only now that I realized how important education is to everyone. Contrary to popular belief that the sole reason for studying is to survive the future, there are in fact a number of reasons why education is a treasure. Education shapes the overall personality, that when you compare the uneducated to the educated, you can clearly tell the difference and determine that the latter is way above and beyond the former in terms of judgment, decision-making and management. I have dealt with different kinds of people and all walks of life and obviously people with formal schooling and some who went astray. Our government should allot time and focus on this matter because as what our national hero once said, "The youth is the hope of the nation." We can stop ignorance by teaching others the value of education and by being an instrument to educate. As students, do not take learning for granted as it is a great armor you'll have to carry on with you in the future. Also with the wonders of the Web, real online degrees are now available for those who are into home based studying. Most of us right now are experiencing financial dilemma. A lot of countries are still badly affected by financial falldown of some of the world's economic superpowers. It's a fact that the global economy has never been stable the past years that is why people are getting into different kinds of business ventures to become more crisis-proof. I am now actually starting a new business exploration and hoping that it will be a big hit in the market. Along with my friend, we decided to spearhead this business and to at least help the poor communities in our town by giving them crafts work. Many are desperate in finding ways to earn money and get fast cash. Due to this, financial companies are offering different types of loans and fast cash even to those who have a not so good credit standing. Some of these that my friend recommended are a types of debt consolidation loans that I might be considering in the future to support the financial needs of our business. I will be updating you guys once our products were launched. We hope you could support us along with the poor community that we are helping behind this. After the holidays, now we are back to the usual business again. We now say goodbye to the long vacation and greet the newly assigned projects at work with a smile. The start of the year for me has been doing great so far and I am looking forward for this all through out the year. According to the horoscopes that I read, though I am not really a fan of fortune telling or some sorts, it says that if I want my year to be fruitful and productive, I should unleash the positive aura in me and neglect the negative ones. This somehow has psychological basis since having a positive outlook in life will make life easier and less complicated, therefore it will give you that refreshing feel and less stress. Let us all start our year right by looking good and feeling good about ourselves. Confidence is one of the factors to having a promising and successful career. Have a great year, everyone! I enjoyed this year's new year celebration. Just spent some time with family with the usual pre-midnight dinner and of course, the ever famous pyrotechnic display all over the skies. Some Kuwaiti nationals in the neighborhood had some of the most coolest fireworks displays.